Last September, I found myself wanting to do something new with my hair. I had done everything from protective styles to a hair cut and I just felt it was time for another change. I became intrigued by colored natural hair. I loved the look of color with beautiful curls and kinks. After thinking about it for a month, I took the plunge and colored my hair. Now that I have had my hair colored for almost six months, I have started receiving questions about coloring hair and what advice I would give. Having a unique, customized color made for you is amazing. Plus, it automatically spices up your look. The downfall to hair color is that either way you slice it, it's drying. You have to moisturize often and make weekly deep conditions a new requirement in your weekly wash routine. 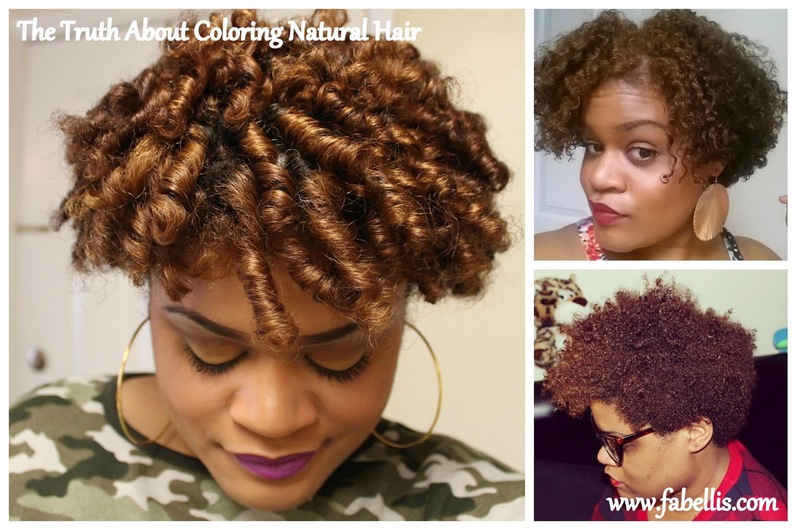 Hair color can change your curl pattern. 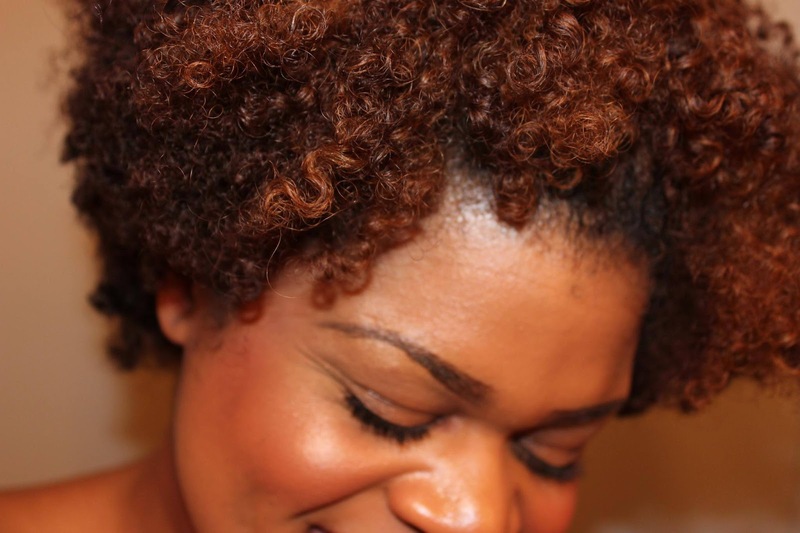 The scariest part for many is that hair color can change your curl pattern. For some, it can relax the curl pattern. For me, it did make my curls a bit wavier versus my tighter curls I had before color. However, with this, keep in mind that heat styling can also change your curl pattern so it's no different. Overall, I love my hair color, but once it has grown out, it may be some time before I get it again. The amount of moisture needed for colored hair is more than I personally have time for. Deep conditioning your hair is a weekly requirement as well as moisturizing some days throughout the week. I say only go for color if you have the time and patience to care for it! Sounds like what people say when you go natural, huh? What has been your experience with coloring your hair? Do you have any tips to share? start again or just dye it a solid color close to my roots. Coloring is fun and can really enhance your features...However this is a permenant decision that shouldnt be taken lightly...especially when bleach is involved. After reading your advice I probably won't so it! lol..I'll just keep coloring my protective styles. LOL! Why Traci? I mean, it's true... You really have to know yourself and be prepared for the extra maintenance involved. I knew it would be time consuming, but I just didn't think so much so. I LOVE all the pics!!! I'm about to color these greys away before my trip. And I typically don't go too light anymore so I haven't had to worry much about it getting dry. Can't wait to see what you come up with next! LOL! You sound like you are just completely over it too. I haven't had bleach used in quite some time, but when I did, it was extremely drying. I remember at one point when I had bleach, I did color over it and it helped a lot. That may be a great option so you don't have to cut it. Thanks for stopping by girl! Love your hair color. I think you know I'm a big fan of color. Adds so much character. People just need to learn how to take care of their color and it would be perfecto. Love the color!! Color is so FUN! That color & your curls are Poppin!